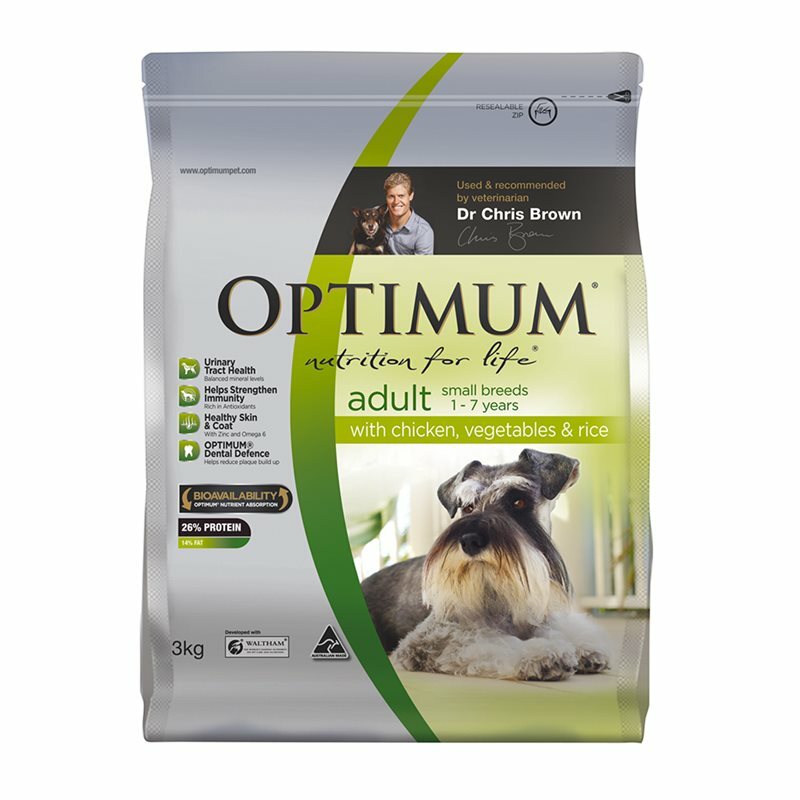 OPTIMUM Adult Small-Breeds has targeted nutrition and smaller kibble to meet the needs of adult dogs under 25kg. OPTIMUM Adult Small-Breeds has targeted nutrition and smaller kibble to meet the needs of adult dogs under 25kg, and has been formulated with optimised levels of calcium and magnesium to help protect your small or medium dog from the occurrence of CLUTD (Canine Lower Urinary Tract Disease). 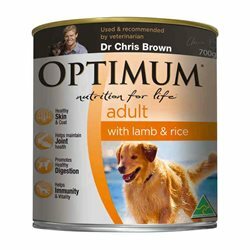 Poultry and poultry by-products; sorghum and/or rice and/or wheat; barley and/or corn; cereal protein; chicken digest; beet pulp; vegetables; salt; vegetable oil; minerals (potassium chloride, zinc sulphate, ferrous sulphate, copper sulphate, potassium iodide and selenium); sodium tripolyphosphate; vitamins (A, B1, B2, B3, B5, B6, B9, B12, C, D, E and choline) and antioxidants.